The word ‘jewelry’ traces its origin to the Latin word ‘jocale’, which literally meant ’plaything’. The word ‘jewel’ was has been derived from the old French word ‘jouel’, anglicized in the 13th century. Jewelry has been used for ages, though not necessarily for the purpose of ornamentation. In the most basic form, jewels have been used, since the times when early humans began to use tools and wear clothing. As humans became proficient in the use of tools and metals, the crude jewelry progressed to assume beautiful shapes and designs. The article dwells on the history of jewelry at length. Read on to know some interesting information and amazing facts about how it came into existence. It is interesting to note that that jewelry which is today available in such exquisite designs, glossy stones and material was first made of readily available natural materials, such as animal teeth, bone, different types of shells, carved stones and wood. Initially, jewelry was more of a functional item, used to fasten articles of clothing together, and it was not associated with decorative purposes. However, with the passage of time, it was adapted for being purely used as an object of aesthetic ornamentation. It also came to be used as a spiritual and religious symbol. 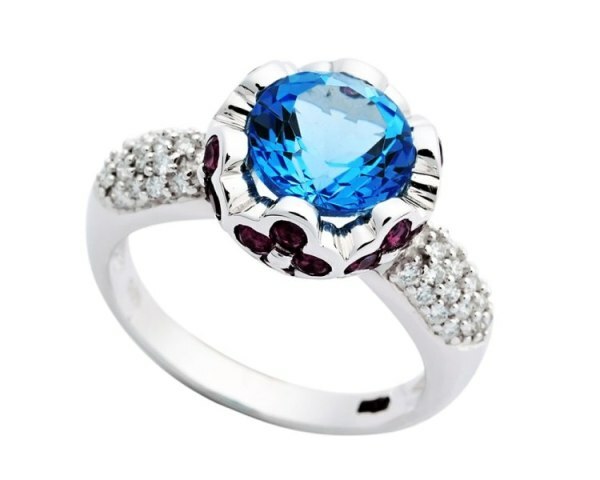 The first gemstones are considered to be gathered in as much the same way as food. It is highly likely that the gems came to an accidental notice, while the primitive humans were searching for food, picking through alluvial gravels in a dry river bed that contained gems. Prima facie, these dazzling, rather useless pieces of stones were harder than any naturally occurring substance and their transparency could be used for capturing the warmth of fire, brightness of sun and blue depth of sea and sky. However, even the primitives soon learnt the right use of these precious stones and as mankind progressed, jewelry very well became a symbol of wealth and status. It was the ancestors of Homo Sapeins, which actually began the tradition of making jewelry for the purpose of ornamentation. Early humans traveled from Central Africa to the Middle East, the Indus Valley, and to the continent of Europe, collecting objects that interested them and fashioning them into pieces of jewelry, notably to narrate the story of their journey. Mas d'Azil is a paleolithic cave site in the mountains of France, where a French archaeologist found necklaces and bracelets made of bone, teeth, mother-of-pearl, shells and stone, strung together with a single piece of twine. This jewelry roughly belonged to the period between 17,800 and 6,500 BC. The earliest used metal for making jewelry was ‘’free gold’’, which was found in Spanish caves and was native to the region. The initials signs of crude metallurgy were witnessed over 10,000 years ago, when native copper, meteoric iron, silver and tin were first used by humans to create tools and possibly, jewelry. While the history of jewelry suffers from the lack of credible documentation, perhaps due to its archaic roots, there is no denying the fact that the contemporary pieces of jewelry worn by women today, has evolved through a series of phases, to enjoy the popularity it holds today.